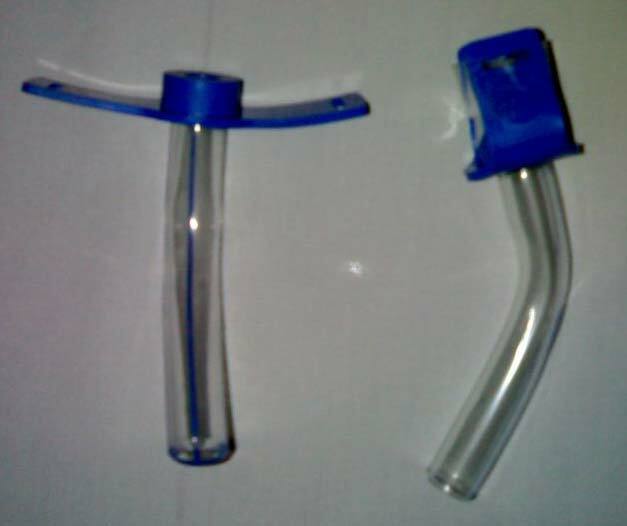 Staffed with the highly experienced and dexterous staff members, having good domain knowledge, we bring forth the Tracheostomy Tubes that is perfectly manufactured, durable and affordable. Tracheostomy tube is used to provide unobstructed airway to lungs by passing the larynx and upper respiratory tract. It is designed to maintain ventilation and respiration in patients during general anesthesia. Manufactured from non toxic, non irritant medical grade PVC Compound. readily conforming to body contours. Soft flexible wing fixed at proximal end helps in easy fixation. Terminal end is provided with 15mm connecter. Sterile (sterilized by ethylene oxide gas). Individually packed in Medical Grade Paper Pouch. Multi unit packing of 10 pcs.